Plot: The top .00001% – a mysterious group of people who control Korea’s economy – lure in Kang Do Yoon (Kim Kang Woo), bringing him and his family to financial ruin. To top it off, Do Yoon’s sister is murdered. With his family in shambles, Do Yoon decides to seek revenge. Thoughts: The writer is from Bridal Mask fame. I am intrigued to see Kang Woo take on the role, as his drama parts have been few and far between (last seen in 2012s Haundae Lovers). The story setup has me interested, mainly because I have a mental image of a shadowy secret society that could be incredibly interesting to see as antagonists. Plot: Gap Dong relays a story based on the real life Hwaseong serial murders which gripped Hwaseong in the late 1980s/ early 1990s. This fictional series of events has Moo Yeon (Yoon Sang Hyun) living with the fact his Father committed suicide twenty years ago….because he was the main suspect in the Gap Dong serial killings. Now Moo Yeon is a detective and is working to find the actual Gap Dong killer. Thoughts: Gap Dong will mark a reunion for director Jo Soo Won and Yoon Sang Hyun, the duo worked on last year’s mega hit I Hear Your Voice. Jung In Ki and Sung Dong Il also appear in this series, and I am a sucker for both of their bodies of work. tvN has also shown they know how to produce a critically acclaimed thriller (Nine)- I am definitely going to have to check this one out. Plot: Kang Ji Hwan plays Kim Ji Hyeok, a man who has lived a downtrodden third-rate life. 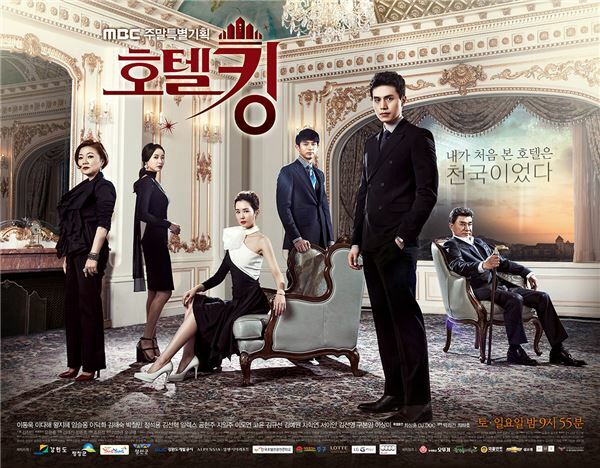 Ji Hyeok’s life takes a turn when he is sucked into acting as the heir to a large conglomerate. Stuff happens, and Ji Hyeok ends up seeking revenge against the conglomerate and the family that runs it. Thoughts: KANG JI HWAN. *drooling* Kang Ji Hwan. Fun Fact: E-Kun and Lore became addicted to Korean Dramas through watching a show with Kang Ji Hwan (different shows, different years, before we became blogging buddies). Coincidence? I think not. I would feel guilty if I don’t tune in. Plot: Kim Myung Jin plays a cutthroat lawyer who goes to any lengths to win a case. An accident occurs, leaving him without his memory. Now stricken with amnesia Mr. Used-to-be-a-jerk lawyer goes up against the law firm he previously worked for. Thoughts: I am happy to see Kim Myung Min returning to drama land (his first role since 2012’s King of Dramas). The writer last worked on Golden Time, while the director previously worked on I Miss You. I cannot claim to be super excited for this show, other than Myung Min’s participation, so I give this a huge wait and see (if I start hearing some positive buzz post premiere I will probably give it a chance). So, what will you be watching? Have you figured out how to stop time so more drama watching can occur? Can you let us know? Please- we will buy you a cookie! Two cookies! A whole truckload of cookies!